I am having the same issue with 1.8.8 on Windows 10 x64 latest branch. I have to click in the server system to be able to click in the client system. then it only works for a click or two before I have to go back to the server and click to get it working again. Hey @Josh Borges. I saw you have already replied to three threads (including this) made by other members. I that comment you made and made it as a different thread. 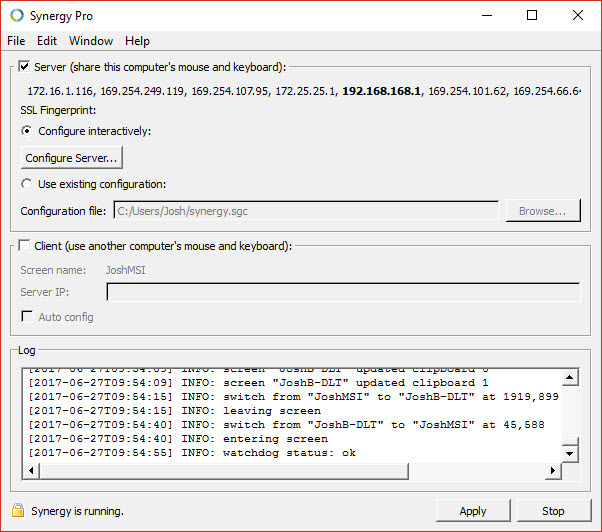 Can you post a screenshot of both machine's Synergy interface and the Server Configuration interface on your server machine? Basing it on the screenshots, your server machine is using the 192.168.x.x as primary interface. Since your client is not connected to that network, it can't communicate to the server machine. Which network would you want the machines to communicate through? 192.168.x.x is not the primary network. That is a vnic in VMWARE Workstation and VMWARE not running. My real network is the 172.16.1.x. Connection is not an issue. I can click after coming over from the server but then it will stop and then I have to clink in the server window to be able to click in the Client window. I did notice that the problem seem to stop when I closed Skype for Business. Setting this still does not fix the issue. 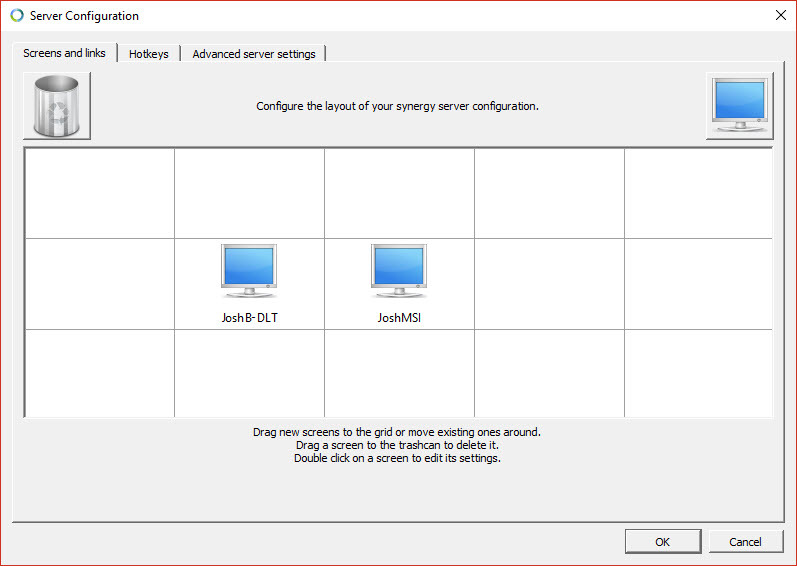 I have to close Skype for business (LYNC) and it works no problem. I would prefer not to have to close this application. 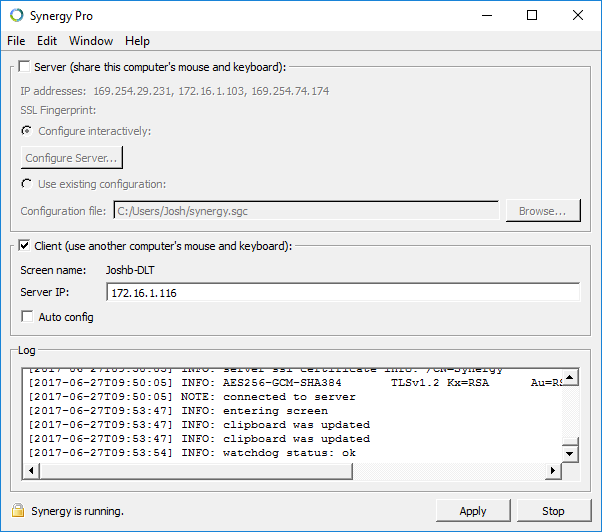 Can you try connecting it again while Skype for Business is closed then re-launch it after Synergy connection is established? This makes no difference. I am noticing that I see the same issue with VMWare Workstation installed with advance keyboard functions enabled.